Leon Carter and the Rolling Stones, a 1950s Austin band with one helluva retroactive cease-and-desist order possibility. 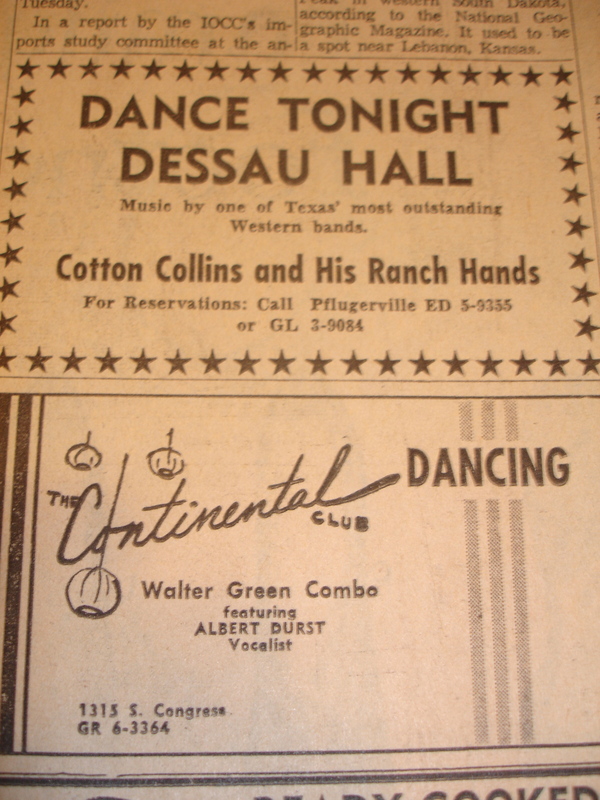 Here’s an ad for the Continental Club in 1958, the year after it opened. This entry was posted on July 29, 2011 at 9:04 pm	and is filed under Music. 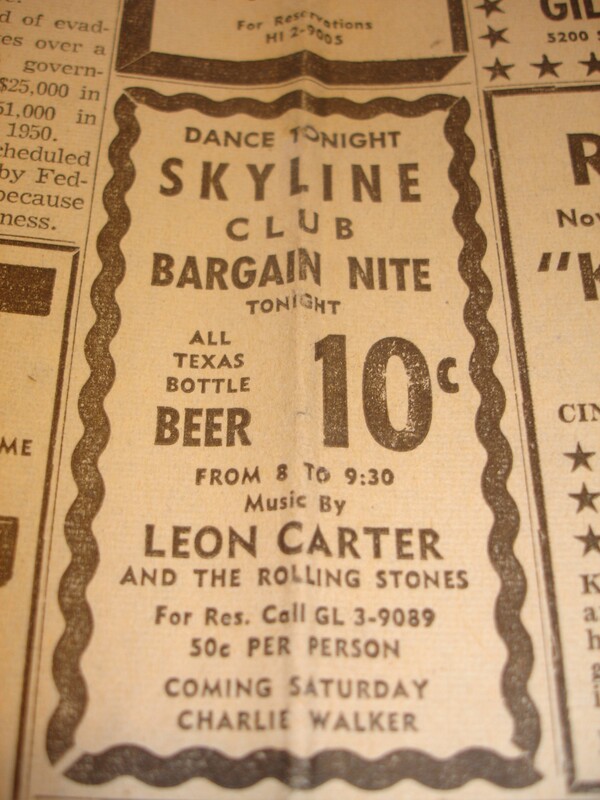 Tagged: 1958, ads, continental club, Leon Carter and the Rolling Stones. You can follow any responses to this entry through the RSS 2.0 feed. You can leave a response, or trackback from your own site. Leon Carter is alive in lining in Buda, Tx. He’s doing well, I just saw him about three weeks ago.